Months ago, Sony Philippines unveiled the BRAVIA OLED TV line that is composed of 65-inch and 55-inch models. However, to update its entertainment piece, the brand just launched the 77-inch variant in the country. The 77-inch BRAVIA OLED TV boasts One Slate Design that makes the device sleek, sophisticated, and classy. Moreover, it has 8-million self-illuminating pixels, which deliver unprecedented blacks, authentic colors, clear images, and a wide viewing angle. It is equipped with X1 Extreme Processor, which controls the pixels, and prolongs the capability of the organic LED, too. Just like the 65-inch and 55-inch models, it also sports the Acoustic Surface technology that allows sound to be emitted from the screen itself. With this, the picture and sound are unified. It can produce wide sound and image synchronization even off to the sides, as well. It also features a slim bezel that lets users focus in the viewing area. 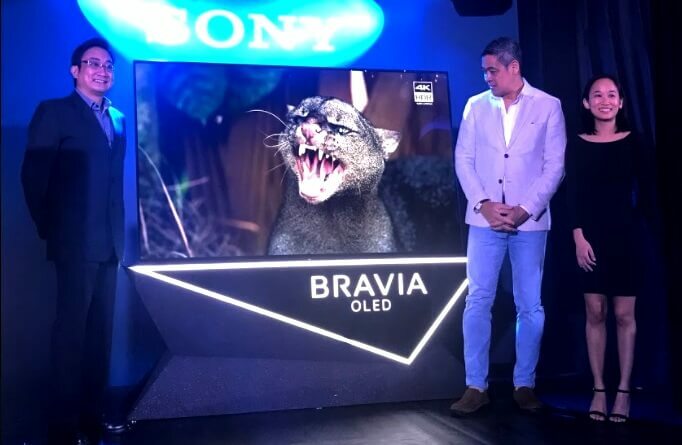 During the launch, Sony has introduced its newest ambassador for the BRAVIA OLED TV line – leading businessman and top brand consultant Anthony Pangilinan. “We love to stay in on Sunday evenings and watch a great movie while eating homemade popcorn. My kids are also busy during the weekday, so I have to make sure that we get to spend at least one day with everyone at home. Now that we have the Sony BRAVIA OLED on our home, there are more reasons to have our family bonding moments right here, where it matters,” Pangilinan shared. Meanwhile, the 77-inch KD-77A1 Sony BRAVIA OLED TV will be available for PhP811,119. On the other hand, the 65-inch and 55-inch models are priced at PhP269,999 and PhP169,999, respectively.